This year i upgraded to the Magnum powers abradive rotor pack and went from 33% od to 25% od. Also discovered a crack in the MPX case and it had trashed the last set of rotors and beat up the inside of the case pretty bad so i replaced it with a fresh mpIII Boost was still low IMO 12/13psi which was the same i saw with GTP rotors and 33% od. The other day i discovered a large crack in the back of my raised top! I had taken this off a parts car and just threw it on when i put the 4.2 in two years ago. I threw a stock top back on and instantly went to 16psi! The car felt much better but the tune was lean above 2.9v vmaf. After some runs and adding fuel i had it back into the realm of being safe. 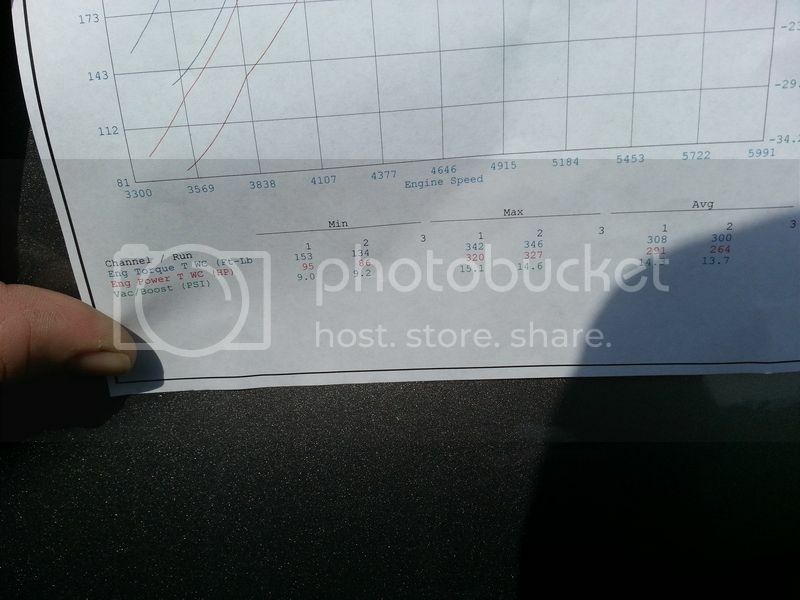 Saturday i took the car to Blakenship tuning for their annual spring dyno day. Here are the results! 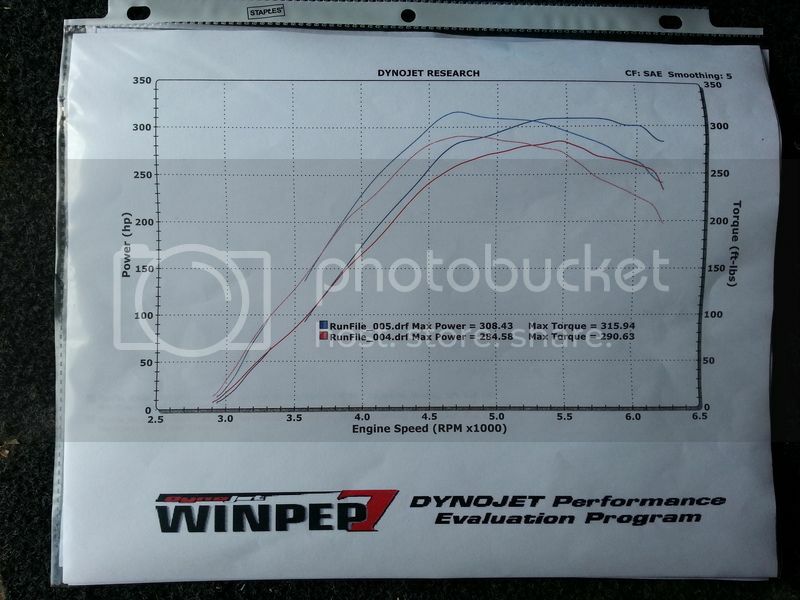 Note: This is a mustang dyno not a Dynojet like what i had the car on at the shootout so gains are likely alot higher. Where does the converter flash to now on the street? Was the converter locked? Nice gain from sorting out the issues. So what are the new numbers ? Dyno sheet is hard to read. QUOTE=David Neibert;1108792]So what are the new numbers ? 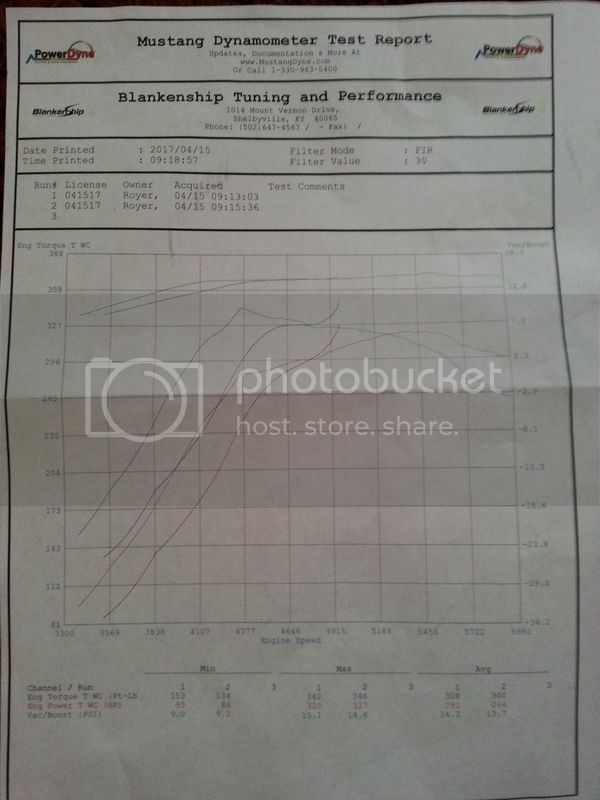 Dyno sheet is hard to read. Jacob not trying to nit pick but how is 3500rpm flash stall blowing through the converter? If anything it seems a bit tight for the combo? I entirely disagree with that. That thought's a plague that needs to go away from SC land so y'all can be faster. That's at least the stall you need to perform well. A different point/topic to make could be that there's too much total slip (not to be confused with stall speed) after the drivetrain speed catches up to the converter's drive speed. "Blowing through a converter" means that the stator can't hold the forces being applied by the converter pump, i.e. making too much HP for the design of the converter. If you're stopping at 3500 that means that your new power level was higher than originally intended, but that's one way to 'loosen' up a converter is an increase in power. Just as long as you don't have a lot of high speed slip. Mine is supposed to be a 3500 stall too and it will flash to around 5400 which usually makes getting traction off the line very difficult (even with slicks). It hits very hard when you go WOT, but I think it would be a lot more enjoyable to drive on the street if it was about 500 rpm tighter. Mine is supposed tois very be a 3500 stall too and it will flash to around 5400 which usually makes getting traction off the line very difficult (even with slicks). It hits very hard when you go WOT, but I think it would be a lot more enjoyable to drive on the street if it was about 500 rpm tighter. planning on doing a 2.1l kenne bell once I sell the Cobra. A 373 gear ratio will actually soften the hit on the converter. The lower numerical gear ratio makes the converter work harder. My flash stall increased from 5200 to 5400 rpm just by switching from a 26" to 28" tire. Turbocharged though so load plays a bigger role on my boost curve. I would be happy with it stalling around 2800rpm like it did with my old motor. Yeah...I'm not really unhappy with how high it flashes when I'm at the track, just feels a little too slippy when cruising around and generates more heat than I like. I think 3000 stall that flashed to around 5000 would feel much better and run a little cooler.